Cudeman Bushcraft MT5 knife Limited Edition (1 of 300) Black. 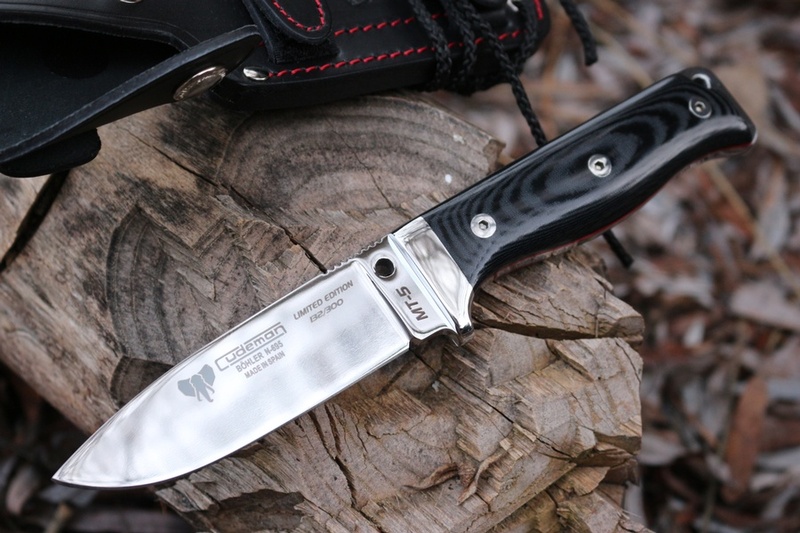 The MT5 is now an established Bushcraft favorite and this year Cudeman have decided to release 300 limited edition models. These are high polish finish, with more time spent on the fit/finish and also in the the exclusive deep Black micarta. 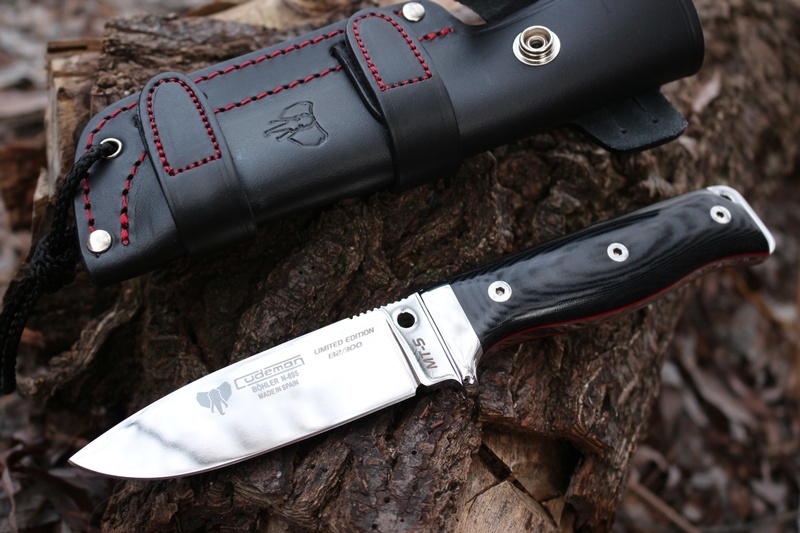 They come with a black bushcraft sheath with red stitching and each one is marked with its number on the blade. You also get a certificate of authenticity. 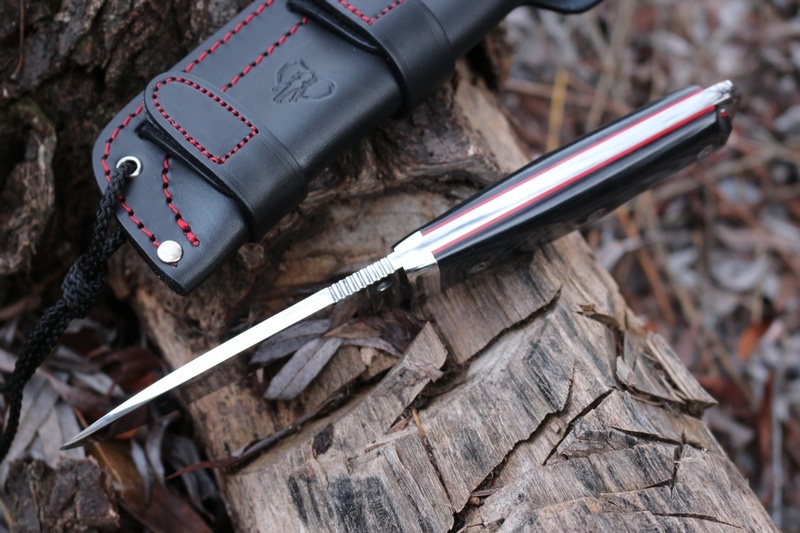 The removable slabs are Black micarta, the tang is extended to provide a lanyard hole, stainless bolsters as well make for a very sturdy outdoor knife. Purchase through PayPal by using the "Add To Cart" button above or use the form below to order the Cudeman MT5 Limited Edition Black . 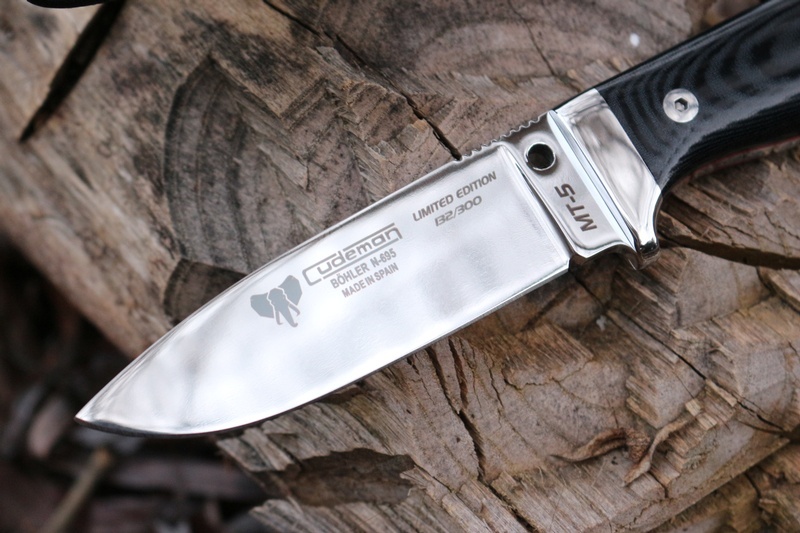 Feel free to contact us if you have any questions about the Cudeman MT5 Limited Edition Black .